Could the EDL prove to be as hopelessly hapless as it is vile? I wrote here that by turning up they handed Mayor Lutfur Rahman a political victory and now his allies in the Islamic Forum of Europe are cashing in. 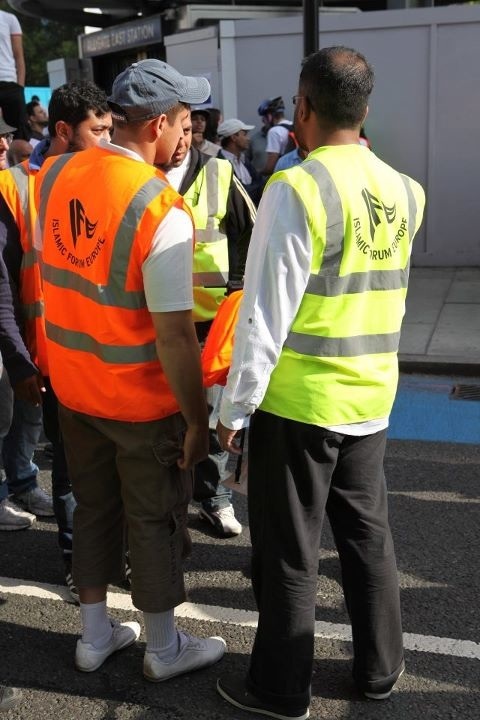 I congratulated the stewards in my last post but I fail to see the need for a mini-army of marshalls patrolling the East London Mosque. Are the IFE and the mosque hyping up the threat? The EDL has given the IFE a golden recruiting tool to use on the large numbers of bored Tower Hamlets youths. “Come and join us, help protect the community from these Nazis, we’ll give you a purpose,” seems to be the message. Let’s keep an eye on those grant applications.